So, you have decided to move out of your house. Thinking about the whole process may make you shiver. This can happen because of the sheer amount of work that you have to put in it. But if you are committed to it, then you will have to make a proper organization. By making the proper organization, you will make the job a lot easier. This is because if you know what to do and when the moving process will go much more smoothly. The key thing in organizing a move is how well you approach the packing process. Dividing the packing process into specific categories will make things easier. For example, packing fragile items. Fragile items are really hard to pack because of their frail nature. They may even be shaped in a way that will make packing it harder. Some items are very easy to break. And they require your complete devotion. Nobody wants to have their precious art painting or sculpture broken or ruined. Scratches and all other types of physical damage can be detrimental to the overall impression of the object. This especially concerns collectors. If some art piece is damaged, the value will drop. And if you do not care about the selling value, but you are sentimentally bound to the object, this can cause concern because you do not want to have your memory of something or someone physically represented as a broken artwork. That is why you need everything to be packed properly. Although shape can be crucial to packing fragile items, there are also many different factors that are included while packing it. This includes box size, providing enough padding, securing the boxes and more. In this article, we will explain in depth how to pack fragile items. 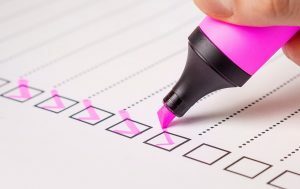 When you are creating an inventory, it is crucial to have your fragile items placed in a specific category. You should get boxes of different sizes, in which you can fit one fragile object. Do not overstuff boxes because this may cause unnecessary damage. If two items are in contact with one another, scratches are inevitable. And you want to avoid that which is unnecessary. Another thing you can do is careful inspection of the item prior to and after the move. By doing this you can keep track of the state of the item and make your decisions on how to handle it accordingly. When you spot damage, or the item is not in the shape prior to the move, you can use specific laws regarding situations like this. Also, if you overstuff your boxes, this will make the job harder for the movers, because they will have a hard time fitting a box with uneven sides alongside regular packed ones. You also need to label the boxes accordingly. 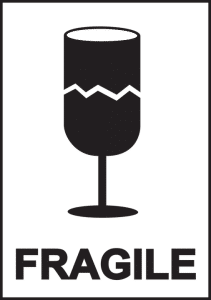 When you safely pack a fragile item in a box, make sure to put a “FRAGILE!” sticker on it, or even write that down with a felt tip pen. There are some supplies you will need when packing fragile items. These include packing paper, plastic wrap, foam peanuts and all sorts of towels and cloths. With these supplies, you will be able to secure the fragile items. When packing your kitchen, you will soon realize that most things are fragile. From plates to glassware, you have to do the job carefully in order to avoid breakage. When it comes to your plates, you should stack them one on top of another, with the addition of cloth or towel between each one. Wrap the plates in packing paper as well, and then wrap the whole stack in plastic wrap or another piece of cloth. You should use foam peanuts or towels to fill the empty spaces in the box. This will secure the plates even better. When packing glasses, you should get cellular boxes. Cellular boxes are the ones you get when you buy wine bundles. This means that each bottle is separated in its own “cell”. You can use these cells to organize and divide your glasses. Take a glass and fill it with packing paper, and then wrap it as well, and put it in one cell. After that, take another glass, and do the same, and then put it on top of the previous glass. Continue doing this until you reach the top of the box. And then, do the same for each cell in the box. This Is a great method of preserving your glassware. Another method is using old socks. Put a glass inside a sock, and then do the same stacking motion as with the previous method. When packing art paintings, you need to have a lot of patience. You should take Styrofoam and put it on the frame of the painting. Prior to that, wrap the painting in plastic wrap or packing paper. Then find a box that fits the painting perfectly and put a towel on the bottom of the box, and then the painting on top of it. If your other paintings are of the same size, you can stack them in one box. Just make sure to use enough Styrofoam and towels. Do you know how to pack it all? Sculptures are a tricky one because they have different shapes. You need to find a box that has at least the height, or the width, of the sculpture. If you wrap the sculpture in packing paper and put it in a box, you will avoid scratches. Then put foam peanuts or pillows to fill in the empty spaces and secure the box with extra tape on the outside. When packing electronics be sure to use the original boxes. If you threw them away, worry not! You can get boxes of similar size. Put the TV in Styrofoam and wrap it in packing paper. Snap a picture of the wiring, just so you can have an easier job wiring it again at your new home. The method used for the TV should be used for most pieces of technology. If you do not have boxes of the fitting size, go get them, or use foam peanuts, pillows and towels to fill the empty spaces. And if all this sounds too hard – you can always hire reliable movers. Fraudulent movers - how to recognize them?